From the title of this album and the up-tempo productions proposed, one might immediately assume that this is a release aimed at the dance floor. This however, is not strictly an invitation to dance, rather a proposal to come together and celebrate the instinctive movement that is inspired by listening, and responding to music. 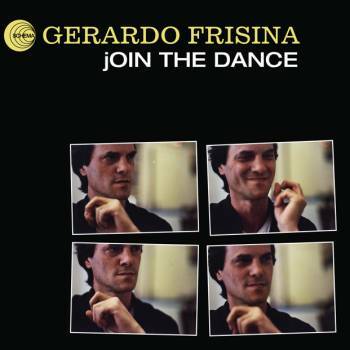 Simply put, this is a jazz album, but still containing the strong Afro-Cuban influences that are distinctive to all of Gerardo productions, here largely expressed in Joy Shout and Titoro. With this album, he has also experimented with new sounds and influences, such as the Asian-inspired track Mille e una Notte. Gerardo has also made two songs in 3/4 time, Waltz for Emily, and Another Waltz. 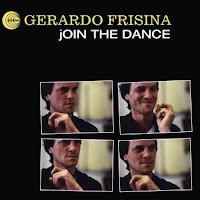 'Join The Dance' is a good work of modern Latin music, arranged by Gerardo Frisina in collaboration with Luca Mannutza. Twelve pieces, nine of which are unreleased and three are covers. Two of the three re-interpretations are the only songs featuring in the album: Will You Walk a Little Faster is a new version of the beautiful 1971 Neil Ardley track, featured in the album 'A Symphony of Amaranths' and here interpreted again by the original singer, the British Jazz legend Norma Winstone. 'I’m Gonna Go Fishin’ ' instead is sung by Francesca Sortino, well-known Italian singer whom collaborated with several national and international jazz artists (Enrico Pieranunzi, Paolo Fresu, Stefano Di Battista, Eddie Henderson, Pierre Michelot, Eliot Zigmund). It is also a cover of a jazz tune taken from the 1959 film "Anatomy of a Murder" and written by Duke Ellington and Peggy Lee. The third and last cover of the album is 'Titoro', written by Billy Taylor and originally recorded in trio in 1957. 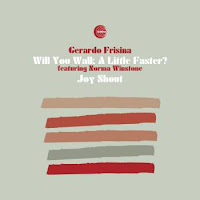 Gerardo here offers a rework with a delectable Afro-Cuban taste. 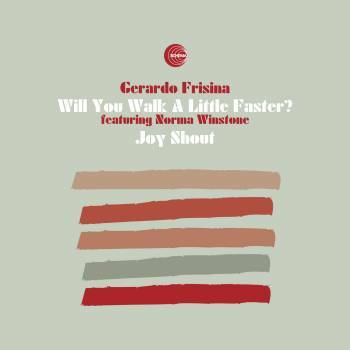 Thanks to the big international promotion of the single 'Will you Walk a Little Faster? ', previewed by Gilles Peterson on Worldwide programme (BBC Radio 1), 'Join the Dance' will bring back on the European club scene one of the most valued Latin jazz producers.